So far so good. There have been numerous bumps in the road, but the bottom line is that the vines look great and the crop is abundant (with a few minor exceptions). Flowering was a week early and started under rainy skies, which was worrisome. Chardonnay is the first to flower and took the brunt of the less than ideal weather conditions. We grow several different clones of chardonnay. 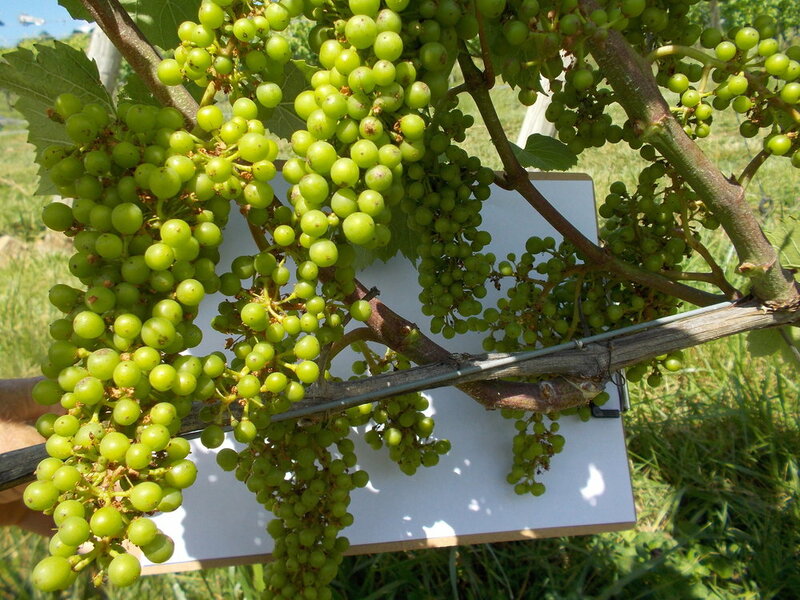 Clones come about when a grower notices a distinctly different characteristic of an individual vine growing in the vineyard. The vine is tagged and then buds are taken in the winter to propagate new vines. Linden grows numerous clones of chardonnay. One of the big differences is cluster size and compactness. The very large clustered clones can be problematic, as the vines tend to over produce necessitating us to spend days hand thinning (cutting off with shears) the excessive crop. On the other end of the spectrum are clones that frequently have poor fruit set (pollination) resulting in minuscule clusters and low yields. This year, because the rains reduced pollination, the large cluster clones have the advantage. Yields may be down on the small cluster clones. Larger vineyards mechanize hedging using intimidating tractor mounted hydraulically powered rotating blades. We prefer the workout.